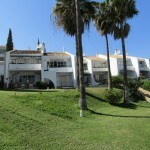 When buying property in Calahonda or other parts for Mijas Costa you need to speak with Key Estates based in Calahonda - the experts for property in Mijas Costa. OUR PHILOSOPHY: - Is to make your buying a pleasant and professional experience. We WILL listen to you, spend as much time as YOU want helping you and we will find you the property that YOU want. When you contact us we will listen and from that point on our objective is to achieve your dream. When investing in an apartment or a villa in Spain, everything we do is designed with your requirements in mind. We aim to make your selling or buying venture run smoothly, we want you to enjoy the experience. Therefore we will allocate you someone with knowledge & experience, someone who can answer your questions, someone who knows the coast and the property market, someone who can give you the assurance you are looking for. The decision to buy needs to be yours without being pushed into a property, that’s why we listen and then find what you are looking for. So, whether you are interested in buying a pre-owned property on the Costa del Sol, or wish to invest in buying off-plan properties in Spain, we can offer you the most unique and widest range of property available anywhere! • As a company we are keen to maintain a professional but efficient personal service, if you are buying or selling a property you will be given a five star service by one of our Sales specialists to help you every step of the process. With Key Estates you will also be given FREE legal & Mortgage advise. • If we don’t have the right property for you we will find it, whether it be for rental, holiday home, permanent move or purely investment. However we believe with over 1200 resale properties and hundreds of Off-plan developments that we have one of the widest selections to have what you are looking for. • We have 2 offices on the COSTA DEL SOL and COSTA BLANCA but also cover areas such as the COSTA DE LA LUZ & the COSTA CALIDA. • We pride ourselves in giving a step by step service. We can also provide inspection trips where we cater to your every need from the minute you arrive to the minute you leave, lets us organise your trip so you can relax while we find what you are looking for. The partners of Key Estates are keen to maintain a professional but efficient personal service, so often lost with the larger companies. Open 6 days a week at both offices, we aim to fit in with your time availability! Accommodation (either rental apartment or hotel). Directions from airport to accommodation. We will pick you up from accommodation and show you available property. Up to 70% mortgages available. We will introduce you to English speaking lawyers. We will introduce you to builders/decorators if necessary. We can arrange for furniture. We can arrange for lettings (from UK). All in all, a complete package of assistance to help making your purchase/investment as easy as it sounds! Buying in Spain is simple, but it is important to have professional advice, just as you would if buying in the UK … Key Estates, although keen to sell you a property, do more business by word of mouth, than many other agents on the Costa del Sol. We do this by ensuring you are sold the right property. Because we tend to charge a lower commission rate, we do have a larger selection of all types of property available; some of our larger competitors are only interested in selling you what makes them the largest commissions. We do not believe this is the way to long term success. Due to the multi national community, we haveSales Executives with multi languages, enabling us to deal with most Europeans. Once you make your contact, we will assign you an executive that you can then deal with throughout the transaction. If you wish to invest or buy to live on the Costa del Sol or Costa Blanca, contact us, either by e-mail, direct call back or by phone and then let us find you the right property at the right price FOR YOU.